Both of my brothers and their significant others are heading into Chicago as I write. I am giddy with excitement especially since David, my youngest brother, has never been to the Windy City. So, for the weekend, we are living it up tourist style. It makes this beautiful May weekend, which is one of my favorite weekends of all year, even better. Why is it normally on my list of top weekends? The Kentucky Derby!!! For as long as I can remember, I have adored horses. 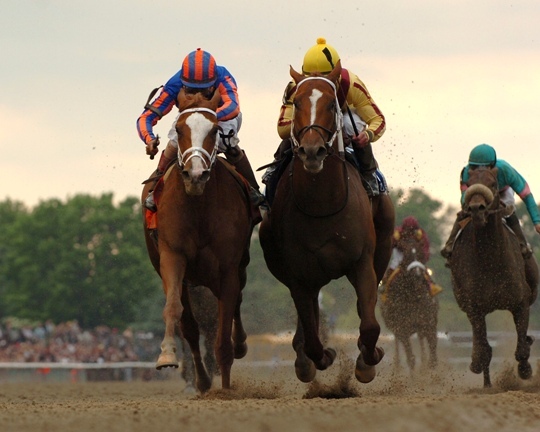 At around age 8 I remember watching my first Kentucky Derby and thinking it was the best thing that ever happened to me. Since then, I have watched almost every derby. I make a day of it. I sit for an embarrassingly long period of time in front of the tv, normally with computer and design near by, and watch the beautiful horses run like the wind. I eat it all up to the point that I have decided that I can't go to or host derby parties because I can't pay enough attention to the races. Since the my brothers are in town, I will not be able to watch hours of coverage, but I am going to be sure to watch the race. I have some favorites, but I am kinda superstitious and can't tell you yet. 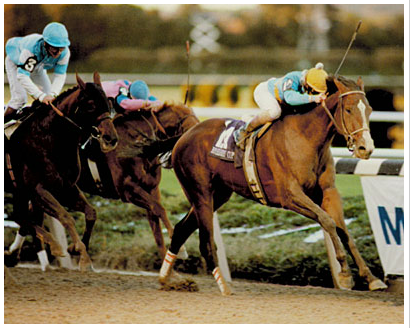 In honor of the derby, I am posting pics of my favorite thoroughbreds of all time. I feel like Barbaro is kind of a cliche favorite considering his sad and well publicised story, but he is on my list. I was borderline obsessed with him before the Derby, and he was my clear choice to win. I am still saddened that his life was cut short. 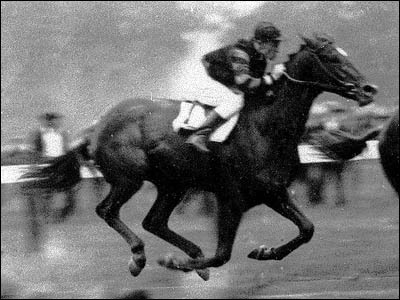 Man O' War was a super horse in 1919 and 1920. He was also one of my first Beyer model horses (of which I had too many to count). A girl always remembers her first favorite toy, right? Rags to Riches is my favorite girl of the group. 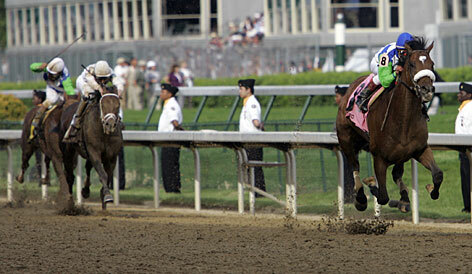 I thought she was going to be the next Barbaro, but then her trainer didn't enter her in the Derby. She is a beauty and a true athlete that proved she could run with the boys. 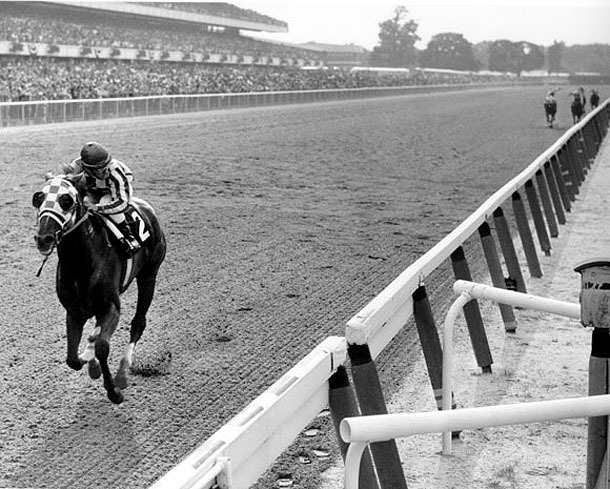 Secretariat tops my list! I fell in love with him as a very little girl - way before the movie. Unbridled is another one of my favorites. I remember watching him win in 1990 as a 9 year old. I thought he was the most beautiful creature I had ever seen. I wish all the horses and their jockeys the best tomorrow! I can't wait to see who wins.